Mr. Sreenidhi KR, B.A.L., LL.B, LL.M & UGC-NET qualified, has been with the CMRU School of Legal Studies since 2007. A graduate of the integrated five year law programme he graduated in the year 2003. He completed his Masters in Law (LLM), specializing in Intellectual Property Law & Cyber Laws. During his time as a student of law he was an avid mooter, debater and a voracious reader. Before joining CMR Law School he has practiced law as an Advocate and Consultant at Lexparle, a Bangalore based law firm. During his time with the firm, he was responsible for conducting legal research in litigation matters and appearing in various forums including the High Court of Karnataka, the State & District Consumer forums, the Debt Recovery Tribunal, and various other administrative forums. During this time he has also taught Constitutional Law as a visiting faculty at ICFAI Law School. 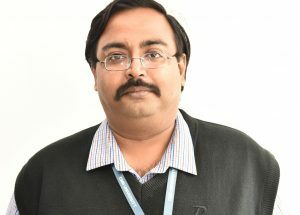 He has organized and conducted various workshops and seminars in several colleges throughout the state of Karnataka besides having delivered guest lectures on specialised topics at several top institutions including lectures delivered during officers’ training programmes at the National law School of India University, Bangalore. He also has several publications to his credit. At CMR Law School, he has been involved in various academic, administrative and co-curricular activities. He has coached students to participate in Moot Court, MUN, Model Parliament and Debate competitions, besides having been the organizing secretary for the CMR International Law Conference and the CMR National Law Seminar. He has been the faculty coordinator for Loquitor, the school’s Debate and MUN club from the past five years. He has been teaching subjects like Constitutional Law, Administrative Law and Legal Theory at both the undergraduate and postgraduate levels.